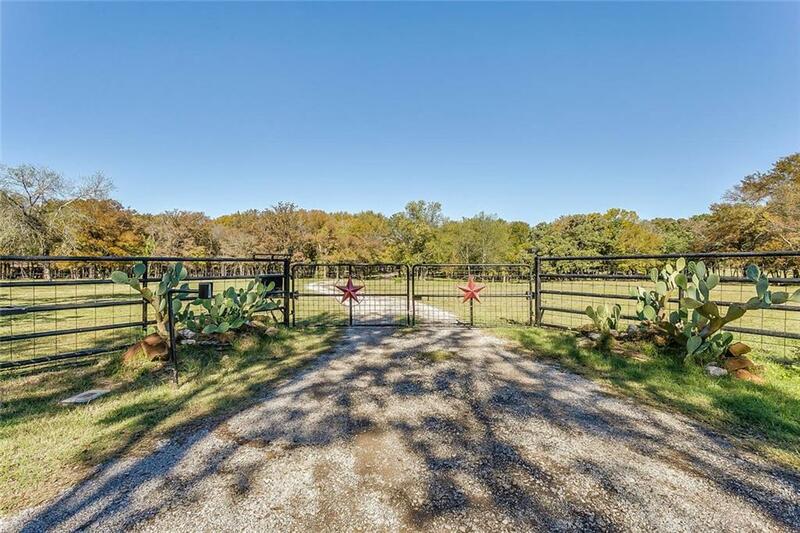 This is exactly the secluded, country setting you have been searching for! 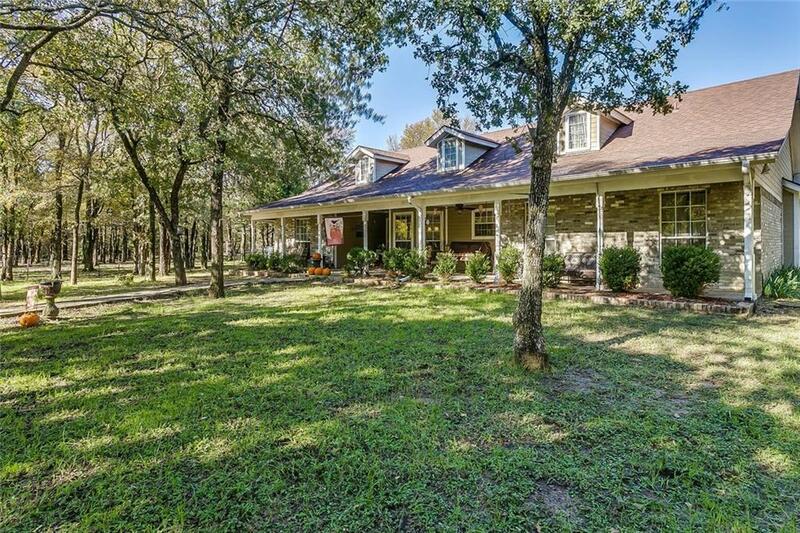 Fabulous 4 bedroom, 3 full bath home sitting on 8 gorgeous, treed acres! Home has wonderful features including, updated kitchen with granite, split bedroom, 2 living areas! The fourth bedroom is separate wing & has kitchenette with stove & fridge! Second living is the media room, great space for entertaining! This home has so much to offer both inside and out! 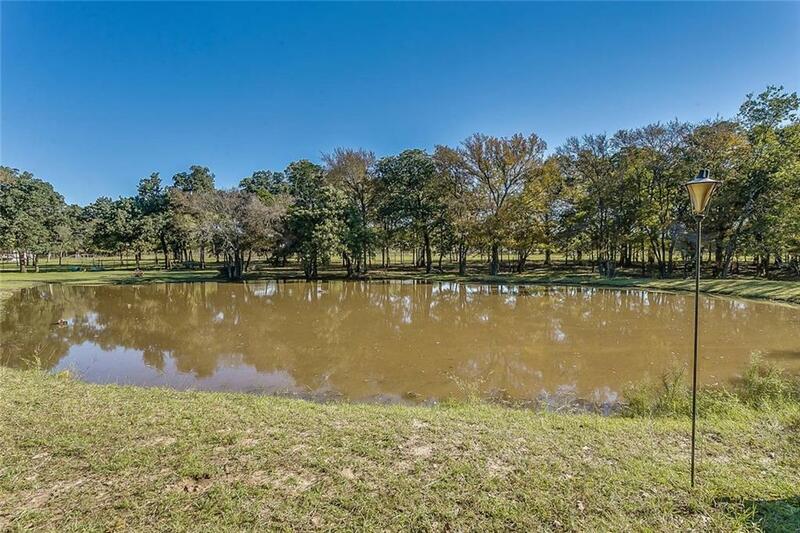 Many possibilities for multi-generational living!Outside features 40x30 workshop w extended slab, 10x12 shed, stocked tank with catfish, fenced & crossed fenced w electric gate. Seller to provide new survey. SELLER WILL PAY UP TO $5,000. BUYERS CLOSING COST! Grandview ISD. 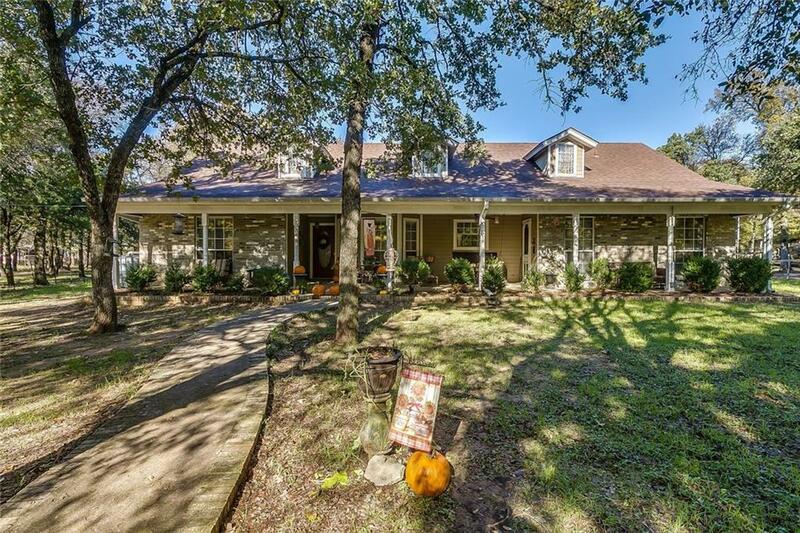 Offered by Terrie Knight of Keller Williams Realty.